AP EAMCET result 2019 will be released by the online mode on 1st May 2019. Andhra Pradesh Engineering, Agriculture & Medical Common Entrance Test (EAMCET) is conducted on the behalf of APSCHE. Admission are offered in various professional courses such as engineering, agriculture and pharmacy. It is a state level entrance exam which is organized every year by the Jawaharlal Nehru Technological University, Kakinada. Candidates can get admission in government and private institutions of the state of AP. In this article, we have mentioned the details of AP EAMCET 2019 result. AP EAMCET 2019 Result is declaring on 1st May 2019. Link will be given here. Appearing candidates can get their result through the official website. Candidates can get their OMR answer sheets till six months from the date of declaration of results. AP EAMCET result/rank card must be secured by the candidates as it will be asked at the time of counseling. The result will be announced by the university through online mode only. No other mode is available to access the result. The rank card will not be sent to the candidates individually. The university will send the SMS on the candidate’s registered mobile number regarding candidates ranks. 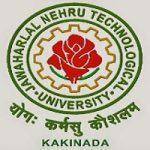 AP EAMCET 2019 Cut Off will be announced by the Jawaharlal Nehru Technological University, Kakinada. Candidates will check cut off through online mode on the website. The university will be declared the results on 1st May 2019. Results would be downloaded by entering the registration number and date of birth. Answer key will be released 2-3 days after the written exam. The ranks obtained by the candidates will be announced along with the 10+2 percentage after releasing the result The counselling will be commenced in last week of May 2019. Candidates should follow the guidelines given below to check AP EAMCET result 2019. Open the link and search for ‘AP EAMCET-2019 Result’ link. After click on the link, the result page will open. You have to enter the required details. Take a printout of the result and secure till counselling procedure. AP EAMCET 2019 rank card will be available on first week of May 2019 through online mode. Candidates are able to download the AP EAMCET 2019 Rank Card after the result announcement. Rank obtained by the candidates are considered for admission to the courses mentioned by the candidate in the application form. Rank card can be accessed by entering the hall ticket no., registration number and date of birth. Rank card will be announced on May 2019. In the rank, card candidates can check their achieved rank along with 12th percentage. Candidates are ranked in the order of their merit prepared on the basis of performance in the examination. Without rank card no candidate will be allowed to attend AP EAMCET counselling. AP EAMCET 2019 counselling will be started from May 2019. It will be consisting of certificate verification, option exercise, allotment, etc. This is Pasam Akanksha qualified in eamcet for agriculture and medical,but my rank is not issued.please kindly check my details and allot my rank.All mu detail’s are furnishing below.. Please kindly check it and allot my rank..
what about supplimentary candidates. emcet qualified,but inter failed. Sir, my eamcet rank is not displaying but marks are displayed. how i will attend for councilling? Sir, my rank card is not displaying. Sir, please tell me how would I get my rank card. Rank card is not released yet. My apeamcet 2018 rank not yet announced. I got 981 for 1000 in Intermediate. Sir i wrote eamcet exam my intermediate hallticket no is wrongly typied and iam qualified but 10+2data not available .my correct intermediate hallticket no is1809254337 and my eamcet registration no is A18102284497B plz show my results Sir. Sir I completed my inter in 2017 in cbse board but in rank card it is displaying that 10+2 results are not available.So please can you suggest a solution for this problem. Do we have to submit any form to get rank if yes to whom we have to submit plz reply sir……. Sir in my brother’s application form,he filled his hall ticket number wrongly…. that’s we are not getting the rank….is there any way to solve this…. Is The result released on 2nd may is along with the intermediate percentage?? I want to know my rank. AP Eamcet result for Engg and Agriculture is releasing today 2nd May. Please update your site information.